Lovingly hand crafted pannier bags. Manufactured in water resistant canvas with top skin leather for all reinforcements. Designed for rear racks but can also fit on to low riders. 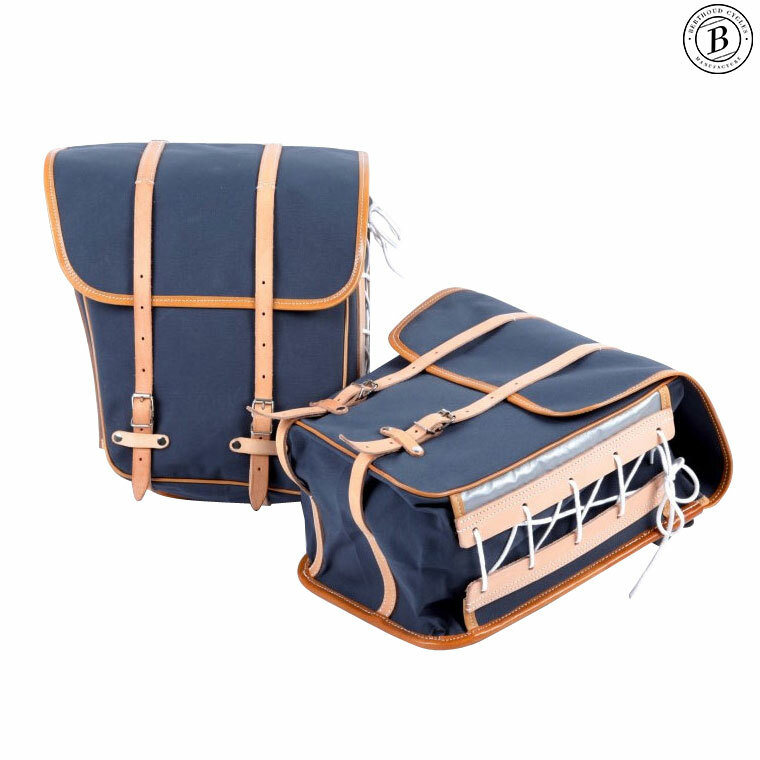 Top cover closses with leather straps with laces at the side to adjust the width of the pannier and secure your luggage. Rixen and Kaul rack mounts will adapt to virtually any pannier rack. Supplied as a pair. would it be possible to use these panniers with the rack of the Tout Terrain Silkroad bicycle (the tube is quite thick)? From what I can see it should fit but we have not tested this ourselves. Hi. I Am Interested In These Gb367 Panniers. By What Method Do They Attach To The Rack? Do They Use Their Traditional Straps And Spring? Or By The More Modern Click Fix Plastic Brackets? These panniers use a modern click fix style attachment using plastic clips.